Come to join the W.I.N. 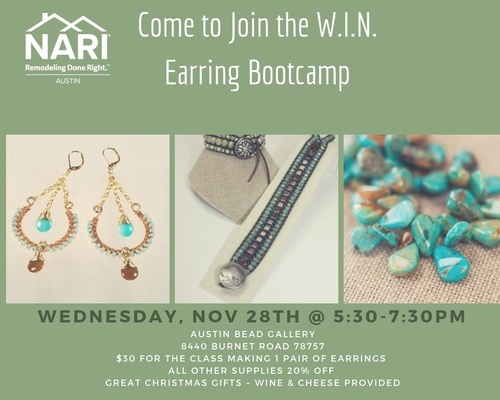 Earring Bootcamp & have some fun! For $30 you will get to go home with a pair of earrings. You can also purchase additional items to make more with a 20% discount! We will provide the wine & cheese and lots of laughs!